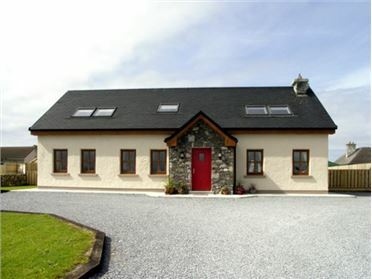 Rockfield House lies on the owner's working livestock farm, just two miles from Moycullen and ten miles from Galway. 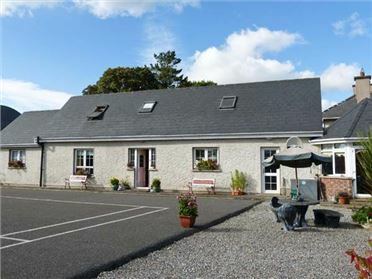 The cottage is a detached, ground floor cottage that can sleep four people in three bedrooms. The bedrooms consist of one twin and two doubles, both of which have en-suite showers. The cottage also has another shower room, a well equipped fitted kitchen with dining area and a cosy and very welcoming sitting room that has an open fire and countryside views. The rear lawned garden with furniture is perfect to relax in after a busy day exploring the area and there is the added bonus of off road parking for two cars. 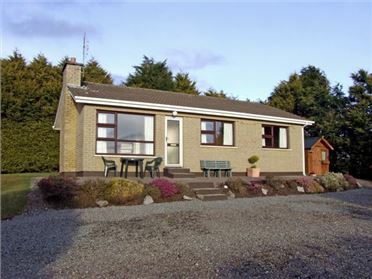 The area around Moycullen has plenty to offer such as walking, fishing, golfing and fantastic beaches. Rockfield House is an ideal base for families or friends that want to enjoy the many outdoor activities available. All ground floor. 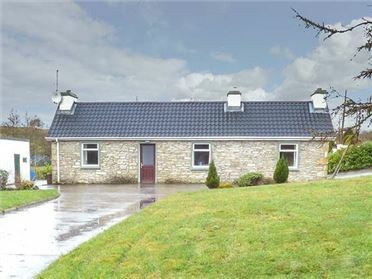 Three bedrooms: 2 x double with en-suite shower, basin and WC, 1 x twin. Shower room with shower, basin and WC. Kitchen with dining area. Sitting room with open fire and countryside views. Oil central heating with open fire. Electric oven and hob, microwave, fridge, freezer, washing machine, tumble dryer, dishwasher, TV, DVD, CD/radio, WiFi. Fuel for open fire inc. in rent. Oil and electricity charged via meter reading. Bed linen and towels inc. in rent. Cot and highchair. Off road parking for 2 cars. Rear lawned garden with furniture. Sorry, no pets and no smoking. Shop, pub and restaurant 2 miles. Note: This cottage may be suitable for accompanied disabled - please contact office for more details. Note: Max. 4 people.